The majority mentioned that the Topo Athletic ST-2 offered remarkable cushioning. Many runners appreciated the light weight of the shoe since it saved their feet from getting excessively tired during the runs. 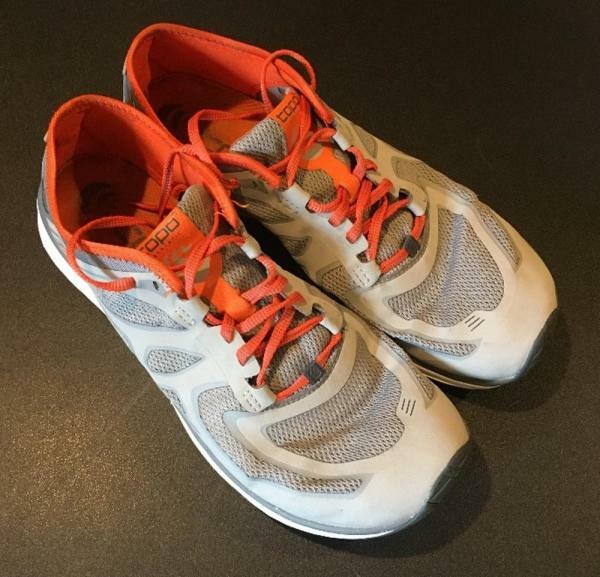 Several users said that the footwear had a sturdy build that held up well, even after many miles of running. A lot of users liked the wider toe-box of the shoe since it enabled them to move their toes freely. A few runners admired the natural, closer-to-ground feel in the Topo Athletic ST-2. Some of the users said that a pair of the ST-2 WAS easy to pack; they flattened in their suitcases easily. A wearer mentioned that the shoe felt great on roads and pavements. Some users thought that the sole of the shoe was neither sufficiently cushioned nor responsive. A few customers had issues with the sizing of the Topo Athletic ST-2. The Topo Athletic ST-2, with its minimalist design, wide toe box, and a zero heel-to-toe drop, offers a very natural and closer-to-ground feel to its users. The shoe is great for running on pavements and the asphalt. However, due to its minimal cushioning, the users might feel aberrations on the ground if they run in these shoes on even only very slightly rough terrains. The shoe has a sturdy build, a roomy inside and a barefoot design for those who welcome the natural gait while running. The Topo Athletic ST-2 is a fast and reduced shoe that still manages to be comfortable and protective. Low-drop shoes are all the rage these days, with Topo Athletic being one of the major companies to embrace this market. The ST-2 (short for speed training) is Topo’s most reduced shoe, for those who want a shoe that lets their feet do their thing. Even though it is labeled as a shoe for speed training, I view it as more of an all-purpose shoe. Road, trail, easy runs, tempo runs, you name it. The ST-2 is a perfect blend of protection and freedom for your feet. This shoe is for anyone wishing for a natural ride that doesn’t inhibit their biomechanics. As a midfoot/forefoot striker who runs a lot of miles, I welcome the ST-2 for some added protection in which I can still maintain good form. The ST-2 has Topo’s signature design: wide toe box and little to no heel-toe drop. Both of these features appeal to me as a midfoot/forefoot striker with wide, splayed feet. The upper uses a thin, sock-like mesh with added overlays for structure. I usually go sockless (except in winter) and the ST-2 feels very smooth inside without socks. No blisters whatsoever. All of this combines to make a sock-like, comfortable shoe. For someone who is looking to find their most-natural stride with a shoe that simply disappears from your foot, look no further. And if you have wider-than-average feet, this shoe will certainly provide your toes with the space they need. An anatomical shape is arguably the most important characteristic of any shoe, yet it is so often overlooked. Brands like Topo and Altra both place emphasis on this aspect, and they certainly do it well. The toe box of the ST-2 is very nicely shaped, though it might be a little narrow for those with very wide feet. My feet are a bit wider than average and my toes still have enough space to splay. This shoe features a 16mm, zero-drop sole made of EVA foam. The ST-2 is Topo’s thinnest shoe, and there are also models with a 3mm or 5mm drop. The foam is not squishy, but not exactly firm either. When walking around, the sole feels squishy, most likely due to the thicker insole. But when you start running, it feels quite a bit firmer. 16mm might seem very thin for those coming from highly-cushioned shoes, so be cautious about moving to a thinner sole. It is great for those who only want to use it for up-tempo runs, or as an everyday trainer for those who are accustomed to more lightly cushioned shoes. Personally, I prefer a thinner shoe that is zero-drop. The reason for this is the added flexibility that comes with a thin sole. It’s certainly not a very “cushy” shoe, but the cushion that is there does provide a good amount of “bounce” for when you want to pick up the pace. In other words, it’s very responsive when you need it, but not like TPU foam (e.g. Adidas Boost, Altra EGO, etc.). I use this shoe for easy runs at around 8min/mi and tempo runs around 6min/mi, and while it performs well at all paces, it feels smoother at a faster pace. Because of this, the ST-2 would be a perfect shoe for long-distance road-racing. After 250 miles, I do not notice the foam flattening at all. This is a good sign for those who prefer a squishier sole, but I have no preference for preserving this squishiness. I actually tend to prefer a firmer sole, and the ST-2 maintains a solid balance of cushioning and responsiveness. There is one part that annoys me, though: the contour of the sole. On the medial side, there is a slight “arch” that I can feel while standing. It’s not rigid enough to be support, but I would rather not have it since anything that presses on my arch for a long period of time tends to cause my feet to ache. And I don’t have low arches either. However, it is pretty much unnoticeable while running. The ST-2 shares the same outsole as most of Topo’s other models, and I must say that I really like it. There is exposed foam around the midfoot, and rubber at all of the contact points. In other words, there is only rubber where you need it. Rubber is heavy, and the ST-2’s outsole does a great job of maximizing durability while minimizing weight. I have about 250 miles on this shoe, and usually, the first spot to show abrasion is the lateral forefoot. With the ST-2, there is barely any wear, so I expect this shoe to last a long time. If you have any experience with Altra shoes, this outsole will be a blessing. The sole of the ST-2 is less cushioned than shoes like the Altra One 2.5 or Escalante, but it will certainly withstand more miles without the outsole becoming abraded. Usually, I am forced to retire shoes when the outsole gets so worn that the shoe no longer feels level, and I expect the ST-2 to last much longer than most Altras. The ST-2 feels locked-in when I am running. The toe box is wide and free, but the midfoot is snug enough to prevent sliding. I primarily run on roads, in an area with harsh winters and hot summers. I once took this shoe out during a snowstorm, wearing wool socks, and not once did I worry about slipping. Even though the mesh is breathable, if you wear socks, your feet will stay warm even in very cold temps (I wore it once when it was -20 F). On the other side of the calendar, my feet never get hot either. The mesh is very breathable and great at regulating heat, especially without socks. The heel will feel very floppy at first, due to the lack of any sort of heel counter. The shoe is flexible enough to stay put in the heel while running, but if you are prone to heel-slipping, I would recommend a heel lock. I only have problems with this when I wear thick socks (which I usually don’t). I usually prefer a twinge of structure in the heel, but without a rigid heel counter. The ST-2 is slightly lacking in that category, but not enough to be an issue. fast and light road shoe with enough protection for the trails. It performs well at a wide range of paces and is comfortable due to its foot-first design. It’s an affordable shoe that can get you through both tempo runs and long runs, or even your next marathon. Even better, it will withstand all those miles with a tough sole. With the Topo ST-2, you won’t need to worry about what’s on your feet, so you can tackle those miles with comfort and confidence. Very flexible for the amount of cushion. Some testers likened it to running barefoot, but they gave it high marks for flexibility and overall comfort. They are super flexible and light, but unfortunately not a great running shoe for me. The Topo Athletic ST-2 is a mix of strategic features aimed at delivering a high-quality, well-cushioned yet natural ride for the users. While the rubber outsole and the Ethyl Vinyl Acetate (EVA) mid-sole are of the conventional nature, the brand has intelligently reworked the design of this model to potentially provide better performance and higher efficiency on the roads. This running shoe also includes the Stretch Lycra construction, which accommodates the natural shape and motion of the foot. It also has a Woven Mesh structure that provides and maintains a snug fit for the user throughout the running session. The reliable road running shoe is available in the standard length for both men and women. The available width for the men’s version is D – Medium, while the women’s version is B – Medium. The semi-curved shape of the ST-2 accommodates the natural curvature of the human foot. The full-length rubber outsole provides enhanced durability and better grip on wet surfaces. Also, it is very durable, so it enables the shoe to give its best performance throughout its lifecycle. Flex grooves allow the foot to move more naturally through the gait cycle, particularly when it comes to doing the toe-off motion. The shoe houses the conventional Ethyl Vinyl Acetate (EVA) material in its midsole for utmost durability, enhanced comfort, and maximum responsiveness. The material is known for its much-popular ‘springy’ feel in the shoe and its high energy-returning properties, the desired qualities which keep the motivation level of the wearer very high throughout the running session. The Woven Mesh structure in the upper is utilized for creating a comfortable, glove-like fit for the user. The perforations in the design allow for a healthy inflow and outflow of air through the material, thereby keeping the runner’s feet dry and cool throughout the run. The Printed Overlays are added for reinforcing the structure and locking down the midfoot for a secure, more comfortable fit. The design prevents uncomfortable sliding of the foot inside the shoe while running. The Topo Atheltic ST-2 houses the Stretch Lycra construction in the heel region, which follows the natural shape and movement of the foot as it goes through the gait cycle. Also, the technology allows for the flat folding of the shoe which happens to be highly convenient for the users while they are traveling. For additional protection of the heel, the shoe boasts the Rubber Achilles. The lightweight technology allows for a flexible and highly comfortable landing. In the forefoot region, the Anatomical Toe Box offers sufficient room to allow for natural splaying of the toes. The feature promotes a natural gait for the runners.